The Ethiopian journalist Bisrat Woldemichael was kidnapped, threatened, humiliated, and beaten by the Ethiopian intelligence and security agents on 28 August, 2013. He has reported this incident today to journalists. Bisrat reported that the dreadful incident took place at Gotera, a place in the capital Addis Ababa as he was walking home from work. He said he was victimized for exercising his right to free expression in conjunction with the related right to press freedom. Bisrat Woldemichael works for a magazine, Ebony, as Editor in Chief, and writes political articles on different Ethiopian private press outlets. He also blogs at www.addismedia.wordpress.com and www.ethiopiahot.wordpress.com. The journalist is known for his outspoken articles focused on the poor governance and pervasive human right violation, which are turning the oldest East African nation, Ethiopia, into a hell. Violence against journalists is a common practice in Ethiopia, a country generally regarded as one of the most dangerous places to be a journalist. According to Amnesty International, during the past three years only, over 100 prominent journalists were brutally prosecuted on fabricated charges, and too many others were also subjected to harassment, intimidation, and other violence. “It was 3:30 AM in the evening, and I was returning home from my workplace. 4 people came to me and said: ‘we need to ask you some questions. Two of them were dressed in black and their faces were almost covered with their caps”, Bisrat said, while narrating his ordeal to journalists. “I first didn’t understand what was going on. I realized that I was in danger just when one of them put a knife on my stomach”, he noted. “When I saw the knife, I asked them: ‘Who are you? What do you need? But none of them gave me an answer, instead they warned me just to keep walking forward,” he explained. “I didn’t do anything but followed them, because I was surrounded, and the guy also clearly told me he would stab me with the knife if I tried to challenge them. In addition, one of them had a gun”, Bisrat said. From there Bisrat was taken to a place far away from the main road. The place he was taken to was quite dark and out of public sight. “As soon as we reached there they told me they were disappointed at my articles I had recently written, particularly at the one which dealt about the wealth of the late Prime Minister Meles Zenawi ”, Bisrat said. “They said: ‘Who are you to count the wealth of Meles Zenawi? Who are you to write about his family’s wealth? You have passed the red line!’ ” he explained. The journalist said that the kidnappers violently interrogated him at length, for almost one hour, and threatened him to stop writing. “They said: ‘here we are giving you a last warning. If you write any more for any media (or if you keep blogging), the consequence will be worse for you. If you need your life, stop wiring. Remember! It is a last warning’ ”, Bisrat explained. The journalist said that this was not the end of the drama but the beginning. “They also insulted and humiliated me, and finally began to beat me. Right after the incident, Bisrat was able to go to a nearby police station, to report the case. But, according to him, having heard the case, the police officers simply gave him an appointment for the coming mooring and let him go. Bisrat said that it took him several days to get the case registered. But, in the face of such grave threats, Bisrat, a journalist who is committed to freedom of speech, has continued doing his job with courage. 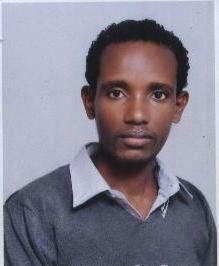 He continues writing about the political crisis, poor governance, and human right violation worsening in Ethiopia. Article 19 of the Universal Declaration of Human Rights, guarantees the right to freedom of expression saying that: “Everyone has the right to freedom of opinion and expression; this right includes freedom to hold opinions without interference and to seek, receive and impart information and ideas through any media regardless of frontiers. Likewise, the International Covenant on Civil and Political Rights (ICCPR), which Ethiopia ratified in 1993, and the African Charter on Human and Peoples’ Rights guarantee the right in a very clear way. They even impose formal legal obligations on state parties to insure this fundamental right is protected. But, sadly, even in the presence of all these legal documents, Enjoyment of press freedom and freedom of expression still continue to be a far cry for Ethiopian journalists and bloggers as they experience violence while doing their job. They are harassed, threatened, humiliated, and arbitrary jailed. Betre Yacob Getahun is an Ethiopian journalist. 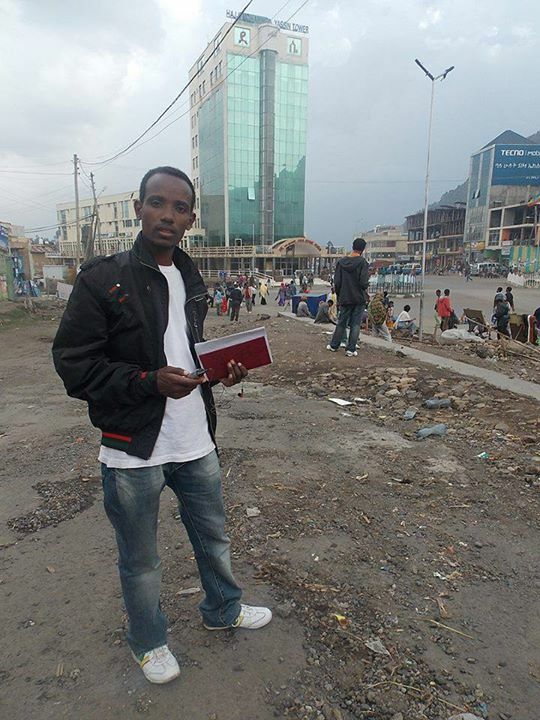 He received his BA Degree in Journalism and Communication from Bahir Dar University in 2008.